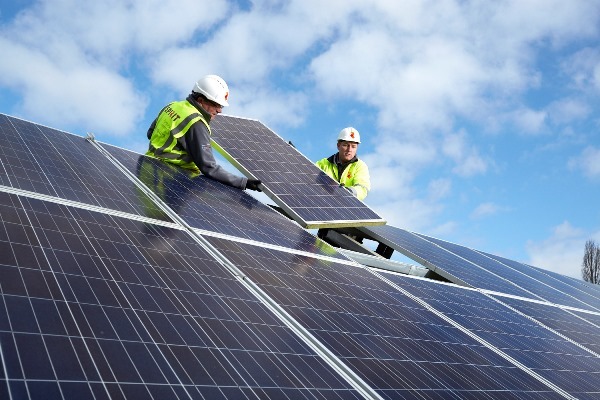 If you have a requirement for Solar PV as part of any project in Q1 or Q2 this year, we recommend you place an order for the installation as soon as you can in order to secure stock, current low prices, and installation labour. The overall trend in the solar PV industry is one of technological improvements (more Watts per 60 cell panel), and manufacturing improvements (lower prices), but in the first half of this year a perfect storm is brewing leading to limitations in supply, and the potential for increasing prices. China is in something of a solar boom - not on the production side, but on the installation side. As a result we are already seeing a tightening in panel supply with availability well below normal levels. The FiT solar subsidy closes its doors to new entrants on 31st March 2019. Not surprisingly, we've started the year with a boom as domestic customers and corporates rush to install systems ahead of the closure. The FiT closure seems to have been inadvertently(?) timed to coincide with the Brexit end-game, or at least the beginning of the Brexit end-game. At this point we have no real idea of how the Brexit end-game will play out, but we do know that panel prices are referenced to the US Dollar (panels coming mainly from China, Singapore, Korea etc) and to a lesser extent the Euro (most of the manufacturers have headquarters in mainland Europe, as indeed do some of the inverter manufacturers). Thus any weakening in Sterling will have a negative impact on panel prices. Further, we can't ignore the potential for import delays at UK ports from April onwards. If you are a construction project manager and / or electrical contractor in charge of solar PV procurement for Q1/Q2, don't delay in placing orders. We can reserve stock for you and hold it either in our own warehouse, or with our panel suppliers.